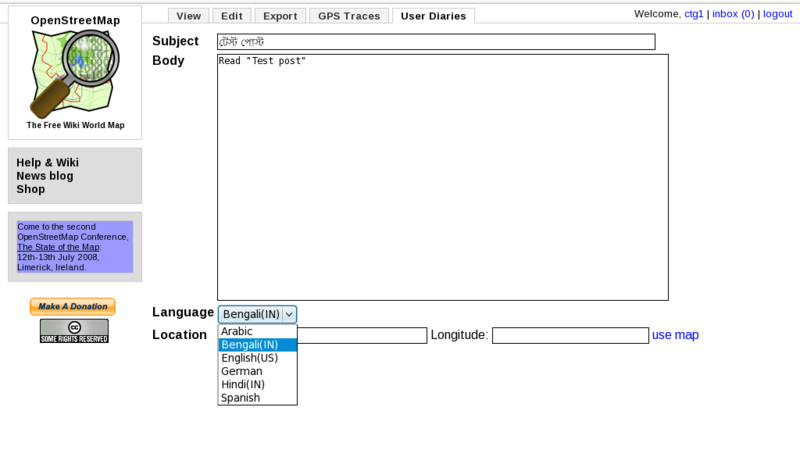 Language filtering of diary entries!! 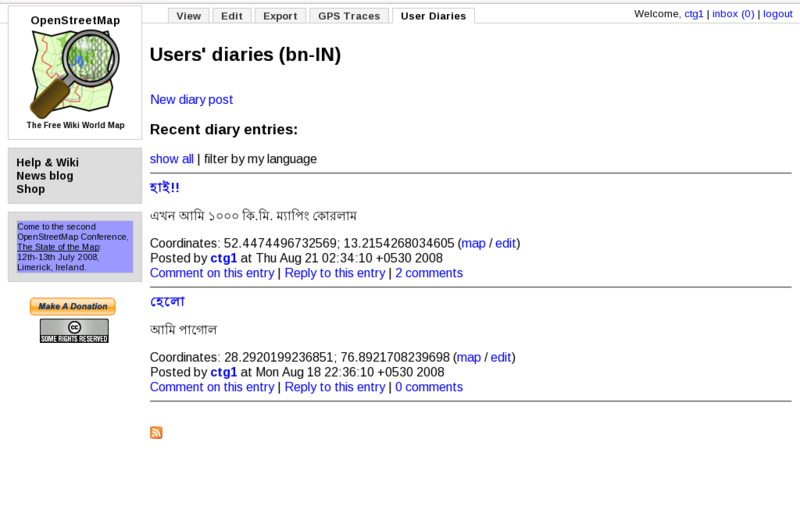 This entry was posted in GSoC, i18n, OpenStreetMap, Programming, rails. Bookmark the permalink. English(US) seems a bit perverse on a British-originated Web-site. Well, that was just on a test setup. Well, this can be changed to en-GB or more simply only ‘en’.